We are looking for a talented digital illustrator and graphic artist for our fast-growing book publishing company. * Work from home so you don't have to commute! * Challenging work with great people so you'll never be bored! This job requires excellent illustration and animation skills. You will have to create stunning book cover illustrations in a variety of genres. Cultural and location differences can matter a lot when you're outsourcing. And when your virtual assistant is in the Philippines, how do you keep them happy and motivated? 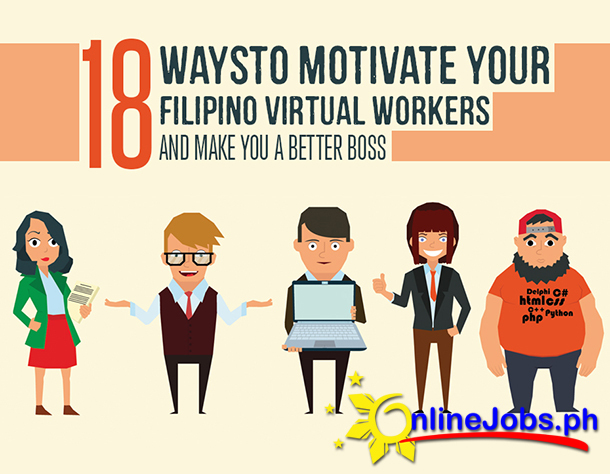 Here's a list of 18 things you can do and say to keep your Filipino VA's happy, and your business a success.